Fun for kids and a canvas for them to express their creativity. These calico bags have a long handles, are great for events and can be used for a number of things such as carrying library books, groceries and more. 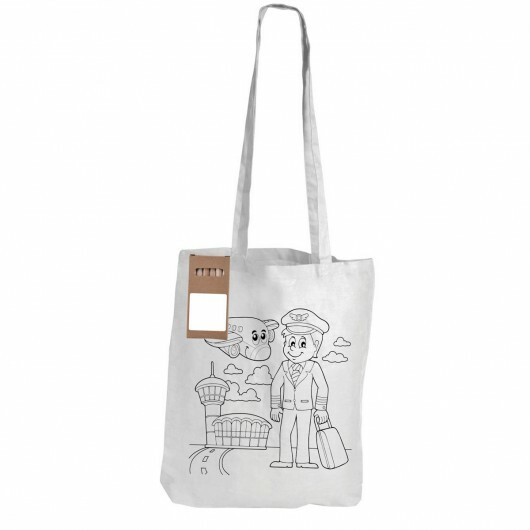 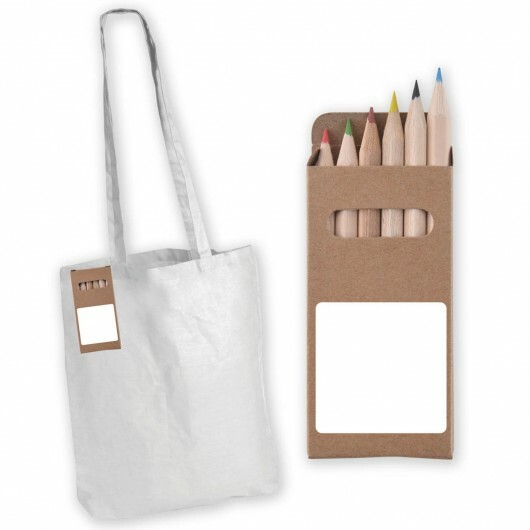 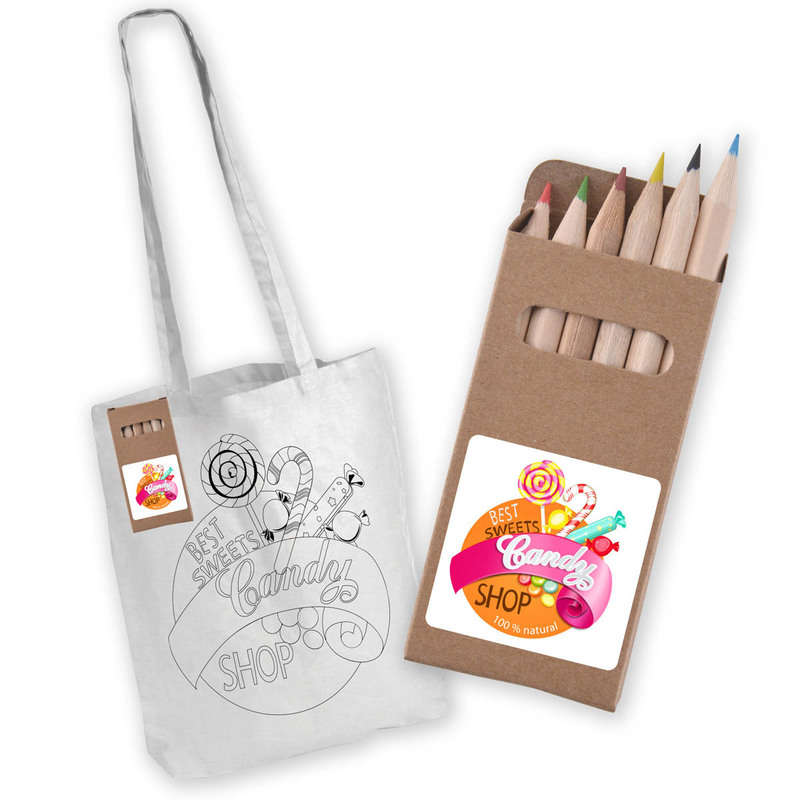 The set includes a custom design printed on a white cotton short handle tote (templates available) and 6 half sized sharpened coloured pencils in a recyclable unbleached cardboard tuck box.